A classic leather oxford with casual detailing and Unstructured comfort. 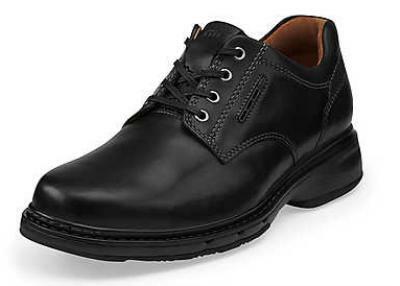 Made from premium leather, this men's lace-up shoe cushions the foot with a removable OrthoLite® footbed. The Air Circulation System, a unique climate control technology, keeps feet feeling fresh and comfortable all day.